Thank you so much for my beautiful gown! I loved wearing it and got so many compliments. I just received some photos today and thought you might like to see them. http://www.sebastianthaw.com/jonathan-and-lisa/ For more photos of her beautiful dress and the wedding. 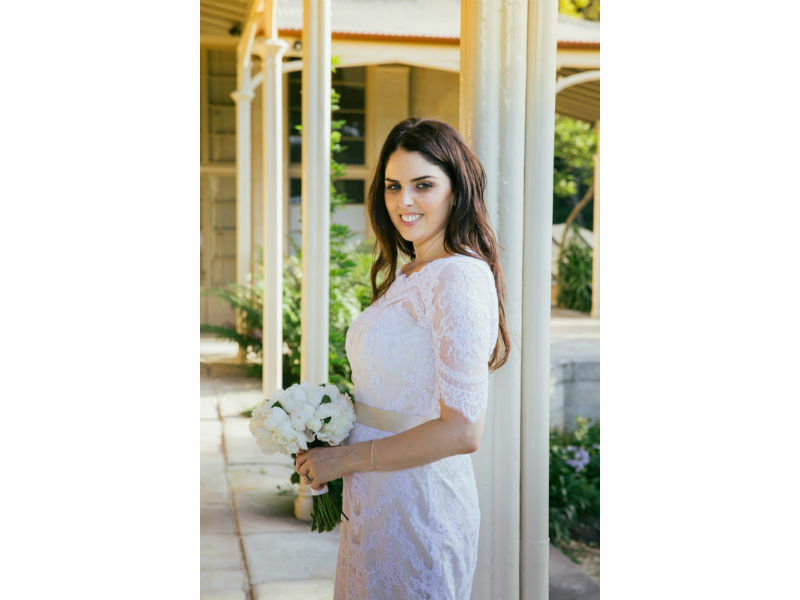 Dress by Nelder Jones – Spanish lace,lined in champagne duchess satin with matching belt.